With over 30 years’ experience in the Design Industry beginning her career path at Fanshawe College in Interior Design to evolving to the supply side of the industry. The years of experience have evolved by working closely with Procurement, Property Owners, Designers and Architects to meet the client and project specifications in product, price and service. Tucker enjoys the relationships that have been established throughout these years by providing excellent service in a market that is constantly changing how we approach business. Chris is committed to the continual growth of NEWH in Canada and all other international markets. NEWH, The Hospitality Network, provides excellent opportunities with insight on our industry trends and information through networking with the Industry Leaders in the USA, UK and Canada. 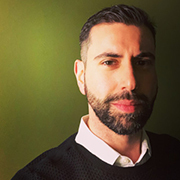 Chris has been a part of the NEWH International Board of Directors since 2005. Currently she is the President of NEWH Canada Inc., and Vice President of International Relations on the NEWH Inc., International Board of Directors. Demi received both her Bachelor’s and Master’s Degree from the Interior Design Department of Middlesex University in London, where she was also stationed during her first working years. Since the mid-nineties she has been extensively involved in residential, commercial and hospitality projects in Europe and the UAE region and since 2015 in the GTA of Canada. For 17 months she took up the role of creative lead in Design TWG, focusing entirely on hospitality projects. 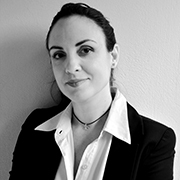 Now, having created Demi Melissinou Design, she continues to provide design services worldwide. Her philosophy is that innovation and respect towards the power of ambience create amazing environments where people are excited to shop, eat, work, have fun & relax. That said she was introduced to NEWH a few months after her relocation to Canada and has been an active member ever since. Educated at University of Wisconsin-Stevens Point, Bellin School of Nursing, and Harrington College of Design in Chicago, Lohmiller has 30+ years experience in the hospitality field. She became the first sales-woman for Falcon Products and was named West Coast Regional Manager in 1983, making her the first woman to be named manager for the company. 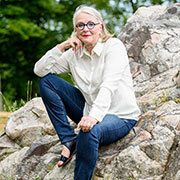 Shelia founded an independent furniture representation business, the Lohmiller Group in 1984 in Los Angeles. 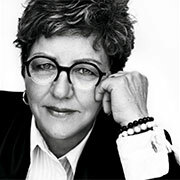 Lohmiller cofounded the Network of Executive Women in Hospitality in 1984 with Dorrit St. John and Susan Spalding in Los Angeles. Having served as Founding President from 1984-1986, and Secretary of the NEWH, Inc. Board of Directors, Shelia was honored as the first recipient of NEWH’s Recognition of Excellence in 1992 for exemplary service to the organization. Shelia has served as the NEWH, Inc. Executive Director since 1993. 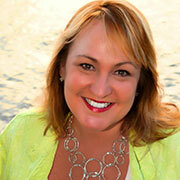 Trisha Poole has over twenty-two years of experience in design and management in the hospitality field. Her personal passion for design and her dedicated loyalty to the client mission has consistently delivered creative results to her clientele over the years. As the leader and president of Design Poole, Trisha has trained all of her design professionals to approach every project with an entrepreneurial spirit as it relates to project success. Trisha gained most of her experience with large design companies in Orlando, Florida, and Chicago, Illinois, and has had the great fortune to work with leaders such as Disney, Wyndham Vacation Ownership, Sun International, Marriott, Hilton, and Starwood. Her previous experience was working with and/or managing architects on most of the projects, which gave her a greater understanding of projects that require extensive technical detail and architectural coordination. 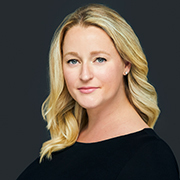 Tara Witt is the Development Director of Tarrison and founder of Vandervitt Inc., both based in the Toronto area. Tarrison is a full-line manufacturer of stainless steel products that cater to many different market segments. Vandervitt provides furniture and front-of-the-house speciality products to the hospitality industry. Tara joined the Toronto Chapter of NEWH shortly after graduating from Western University with a cross-disciplinary degree in business and psychology. She is currently the President of the Toronto chapter, and Secretary for the NEWH Canada Board.